The decor of these areas of our house must be able to organize the space with functionality but at the same time to create an environment that is suitable to rest and to our new collections personalit. Doimo Cityline bedrooms are perfectly able to meet all these needs. The bedroom is the most intimate part of our house, the one that most reflects our personality, to be furnished with style and passione. besides sleeping in the bedroom we spend private moments of relaxation: to warm environment with just a few pieces of furniture but chosen and carefully matched. Doimo Cityline offers, for the sleeping area, pleasing aesthetically and design solutions, available in a wide range of finishes and colors to match different tastes and needs. 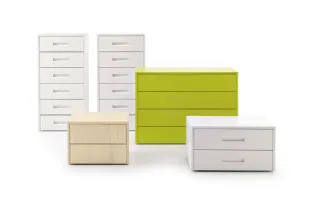 Wardrobes and walk-in closets, wooden beds or double textile and upholstered, with bed frames elegant and practical box containers, with modern and functional bedside tables are just some of the elements that give solutions to personalize your bedroom and better organize your wardrobe and household linen. Doimo Cityline catalogue for main bedrooms is divided into different proposals to satisfy all tastes and needs. The beds have modern lines and a solid structure; cabinets offer a remarkable ability unestetica containment and high-impact. In the sleeping area with bed and bedside tables complete the groups and furnish the room providing useful storage units to store linens and personal items. Doimo Cityline proposes several models, to be chosen according to personal taste thanks to the many finishes and colors available. In the bedroom closets are an inevitable decor. 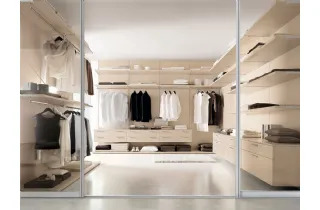 Them they can, between the proposals for Doimo Cityline, choose cabinets with hinged doors, sliding door wardrobes, angular or modular cabinets according to our needs. With so many indoor facilities, to give shape to our personal idea of u200bu200border. Change the style, but the beds are the protagonists of the sleeping area. Should ensure a quality sleep and are a significant presence in terms of aesthetics. Doimo Cityline offers a wide range of single, double and a half square. The cabins of Doimo Cityline closet are designed and made to prepare the sleeping area, combining practicality with beauty of design. The many proposals in closets fit style and needs. Modular and, accordingly, very versatile solutions.